100-percent Brand new and high quality. 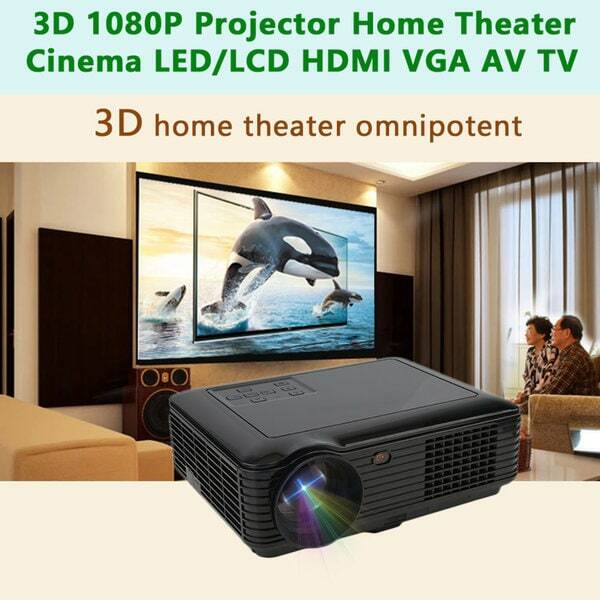 Super compatibility with multi projection support VGA , HDMI , USB , headphone , AV , secure digital memory card, mobile phone , DVD , VCD , TV box etc. A power bank --USB, While watching the movie, your phones can be charged via USB. My projector came in just fine, but it is not bright enough. I was looking for a 3000+ lumen projector for use in a room with some ambient lighting but this one is not bright enough for that. I have an old (10+ years) Epson projector that still uses its original bulb that is 2600 lumen and it is much brighter than this one. This projector appears to be designed for a completely dark room. The picture in that kind of environment is good, just not what I was needing.